If you are one of the die hard fan of wrestling and want yourself to be up to date with the word of wrestling then this article is just for you. This article will talk about some of the best wrestling news apps that are present for android and ios users. The apps that are included in this article are absolutely free to use and could be downloaded from the official app stores. As a result of which you can follow your favorite wrestling super star. Tracking all the events of wrestling will also be easy and sophisticated. Wrestling news apps generally cover pro wrestling, WWE, Smack Down, RAW, MMA etc. Hence this is a one stop destination for all the awesome wrestling fans. When ever I think of the wrestling news apps, the first one that comes to my my mind is the official WWE app by WWE Entertainment. Since it is the official app , it has all the latest updates and exclusive news about everything going on the world of professional wrestling. With this app you have the option to literally take the WWE everywhere with you and at all time. It also covers all the major events from the world of entertainment. WrestleMania, Royal Rumble, Money In The Bank are some of them. 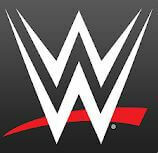 WWE app also provides you with all the schedules, event dates , place and timings of the wrestling matches. You also can set reminder of the particular event that you want to catch. WWE app is available for both android and ios users. Another great app for all the wrestling lovers is wrestling online. You will have access to all the news and updates about the professional wrestling when you are using this app. This app provides separate section for each wrestling method. It also keeps you updated with TV Results, Articles, and General news. 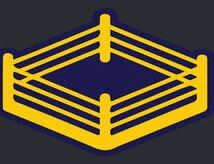 Wrestling Online also provides you with the notification for all the major events from the world of wrestling. The icing on the case is its free availability on the official app stores or android and ios. The success of this app indicates the quality of the service provided, that is the reason it is one of the best wrestling news app since 1998. Sportfusion is the app that is completely dedicated to the WWE news. The name itself is WWE News Edition app. The main motive behind the development of this app is to keep the WWE fan updated with all the latest happenings in the world wrestling entertainment business. It compiles news, videos and other material from all the sources and present the same on this app. Users can create their profile and get all the content present on the app. This is free app that could be downloaded from the official app store. You also can customize your feed as per your interest. Sportsfusion also has the offline mode where you can download the content and keep the same for the offline usage. Hence this is a great app that charges nothing for all the services within the app. If you are looking for something very militaristic UI but great content, All Wrestling is the app for you. You will not be let down in terms of the quality of the wrestling news and its coverage. The app is updated by the developers according to the events from time to time. By using this app you will have the latest updates from all over wrestling world. Some of them include, TNS, RAW, Smack Down, ROH, New Japan, Lucha etc. One of the great thing about this app is the inclusion of podcast and fan blog on the app. This provides more value to the app and hence you can easily get all the updates and at the same time valuing the fan content on wrestling as well. One of the upcoming and awesome wrestling news app is Global Wrestling Network. 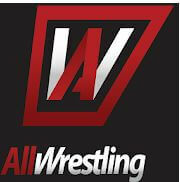 It has got 24 hours access to the exclusive video stream from the wrestling world. This is an awesome chance for you and each and every wrestling fan to come closer to the wrestling world, at the same time follow your favorite WWE superstar. It has got international partners from all over the world. Hence you will get the exclusive access to the live matches from all around the world. Out of which many of the wrestling matches and leagues will not be available all over the world but are available on this app. The only thing that could be worry sum for you and for any of the fan is that this is the paid app. As a result of which the fees needs to be paid in order to access the exclusive content.